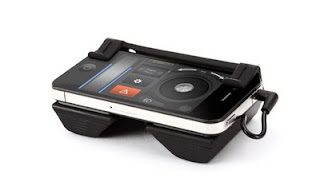 Nashville, TN – August 17, 2011 – Griffin Technology, one of the world’s foremost creators of innovations for everyday life, launched its newest AppPowered accessory: HELO TC, a remote-controlled helicopter. The HELO TC app transforms the Multi-Touch display of any iOS device into a remote control for HELO TC. HELO TC is a twin-rotored, indoor helicopter built on a lightweight metal frame with a black polycarbonate body. It comes with a Flight Deck infrared module, which plugs into an iOS device to transmit control signals to the helicopter. 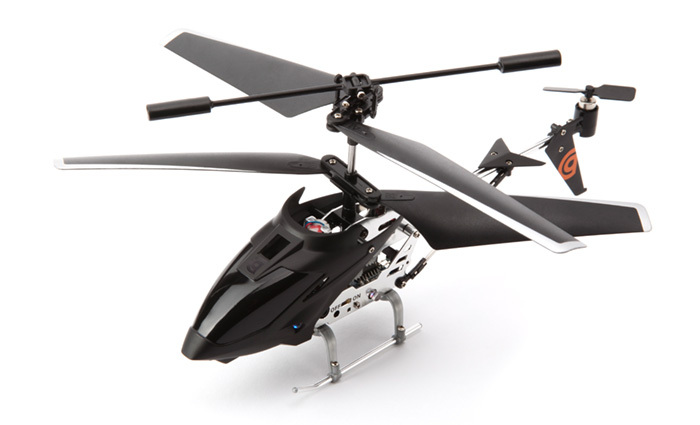 Two modes of flight are available: Touch Control, using the Multi-Touch display to control HELO TC’s throttle and joystick; and Tilt to Steer mode, which uses the iOS device’s accelerometers: tilting the iOS device moves the helicopter forward, back and side to side. The app can record and store up to three Flight Plans so you, or another pilot, can repeat a favorite flight pattern easily. HELO TC, $49.99, is currently available at www.griffintechnology.com and will be at retailers nationwide for the holiday season. To learn more visit www.griffintechnology.com/helotc and watch the teaser video of the HELO TC in action. The HELO TC app can be downloaded for free from the App Store at itunes.apple.com/us/app/helo-tc/id435802394?mt=8.